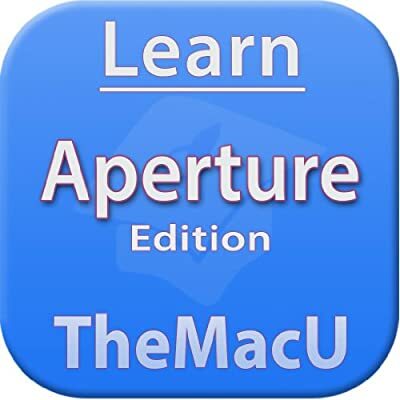 Get the most out of Aperture with our "Learn - Aperture Edition" video training app! Divided into 4 main sections (1. Import, 2. Arrange, 3. Modify 4. Output) this course covers the entire process from importing, adding metadata, presets, editing and lastly outputting your photos for the world to see. Organizational tools such as Projects, Faces, Places and Smart Albums are all talked about. In the Edit section of the course find out to make a picture look its absolute finest with the tools readily available in Aperture's modifications panel. In the output section find all the methods to share your photos, from emailing simply a couple images, utilizing shared Photo Streams, publishing to Facebook and producing slideshows or books. 2. Handled or Referenced files. Over 3 hours of 1080p HD video tutorials on how to use Aperture! 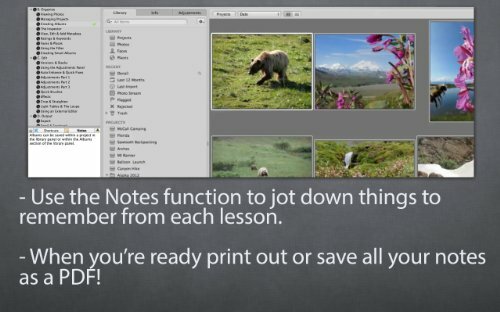 36 individual video lessons guided by an Aperture expert. Simple interface that makes it easy to navigate through the videos. The videos guide the viewer with zooms, pans and highlights of what is being discussed. 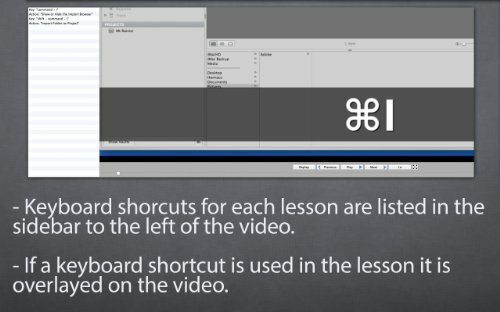 The keyboard shortcuts associated with each lesson are listed in the sidebar.